January 4, 2016 – Englewood Hospital and Medical Center has named Thomas R. Bernik, MD, FACS, as its new chief of vascular surgery. A vascular and endovascular surgeon, Dr. Bernik specializes in complex open surgery and minimally invasive surgery for aortic aneurysms, carotid disease, peripheral vascular disease, dialysis access, and complex venous thrombosis. 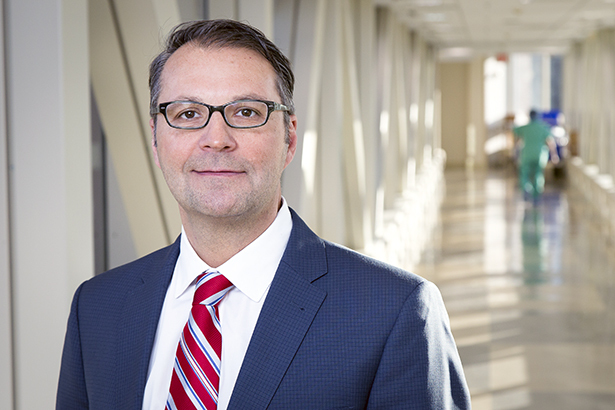 In his new position, Dr. Bernik will continue to expand vascular surgery services and will oversee the leadership of the Wound Care/Limb Salvage Center and the Non-Invasive Peripheral Vascular Laboratory. Most recently Dr. Bernik was associate professor of surgery and chief of vascular surgery at Mount Sinai Beth Israel. Prior to that, he was chief of endovascular surgery at St. Vincent’s Hospital and Medical Center. Dr. Bernik received his medical degree from George Washington University School of Medicine and completed his surgical residency at St. Vincent’s Hospital and Medical Center and New York Medical College. He completed a fellowship in vascular surgery at North Shore University Medical Center, as well as additional training in the endovascular/interventional fellowship at Strong Memorial Hospital. He has been included in New York Magazine Best Doctors, New York Superdoctors, and Castle Connolly New York Metro Area Top Doctors for vascular surgery. Dr. Bernik is a member of the physician network of Englewood Hospital and Medical Center, and can be reached at 201-894-3689.